Another disturbance in the Force #mt4thbwu – Life…Camera…ACTION!!! Be sure and come out to Johnny’s Saloon on Sunday May 4th. 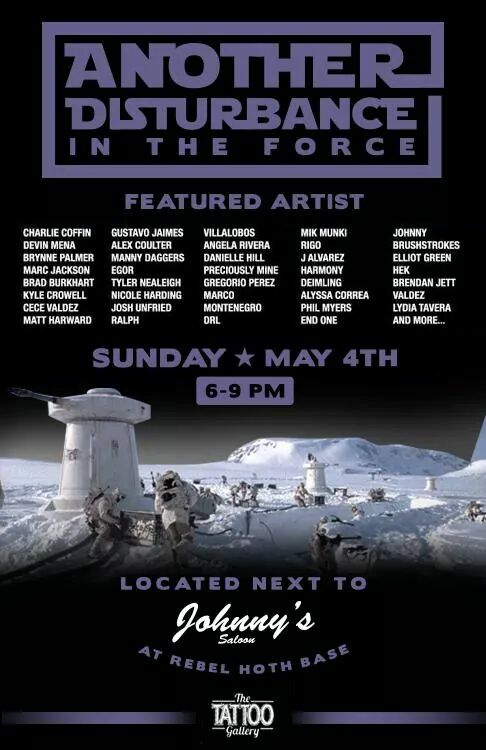 Many local artists will be representing Star Wars inspired artwork. Lots of fun activities and special guests. Bring your cameras! Bring and invite your friends.